What can be said about Vasyl Lomachenko (9-1, 7 KO’s)? Is he the perfect boxer? The answer is yes, especially after he took apart Miguel Marriaga (25-3, 21 KO’s) and embarrassed him this past Saturday night. It was an unbelievable performance from start to finish, and I believe that Lomachenko is the hardest man in boxing to defeat. From start to finish, he was toying with Marriaga, hitting him from all angles with every kind of punch imaginable. In the first 3 rounds, Lomachenko was zooming in and out of punching range, creating all kinds of angles and just tapping Marriaga. 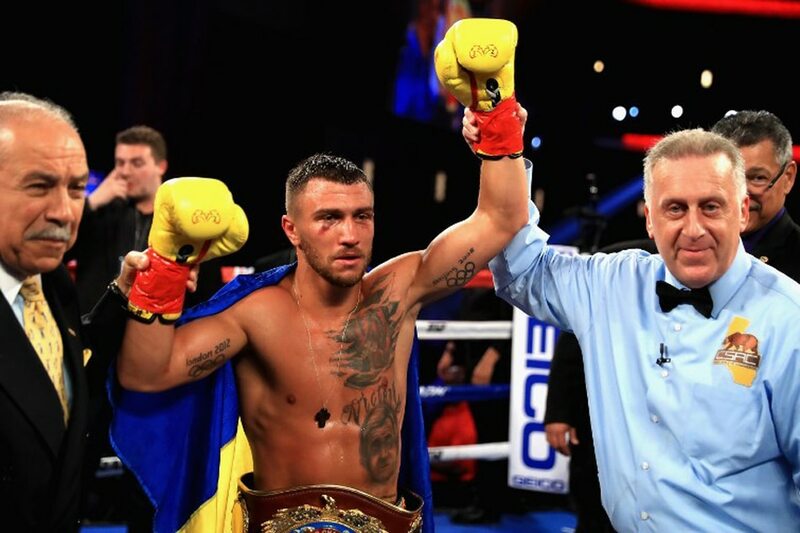 After the 3rd round, Lomachenko started punching a bit harder. It didn’t really matter if he exposed himself defensively, because its not like Marriaga could hit him anyway. Lomachenko knocked Marriaga down in the third with a perfect straight left while marriaga was off balance. In the 6th round, Lomachenko actually turned around and walked straight into the corner and begged Marriaga to come at him. I don’t think I’ve ever seen a boxer do that before. Lomachenko continued to come forward and pressure Marriaga after that, and in the 7th round he knocked him down again. Between rounds 7 and 8, Marriaga’s corner informed the referee that Marriaga no longer wanted to continue. There was no point really, as Marriaga lost every second of this fight in embarrassing fashion. There was absolutely no way that Marriaga had any chance to do anything meaningful in this fight, so there was really no point to continue. This was a relatively easy fight for Elbiali. He clearly had more power and was the more skilled boxer. He won every round except the last, as Stafford looked sluggish and over matched the entire fight. Elbiali give up defense for offense, and he will have to work on that going forward. A higher class opponent would pick him apart. Barthelemy vacated his title to move up to Junior Welterweight. This looked like a tune up fight for sure. Talk about overmatched, Perez never stood a chance. Barthelemy knocked him down twice in the first round and Perez never recovered. He lasted 15 seconds into the second round, and it was over. Hands down the best fight of the night. It was a very competitive affair, and with a very narrow split decision, Freddie Lawson will stay undefeated. Back and forth they went, and Prescot seemed to punch himself out in the end. 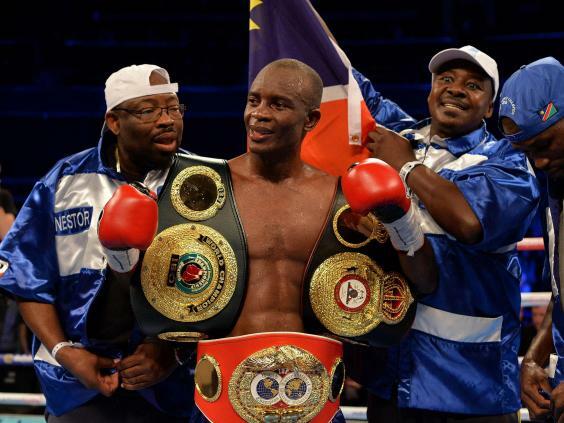 Lawson took over the last 2 rounds, and the knockdown in the 3rd round proved to be the difference on the scorecards.